Let’s face it. We’re all going to over-indulge this Thanksgiving. 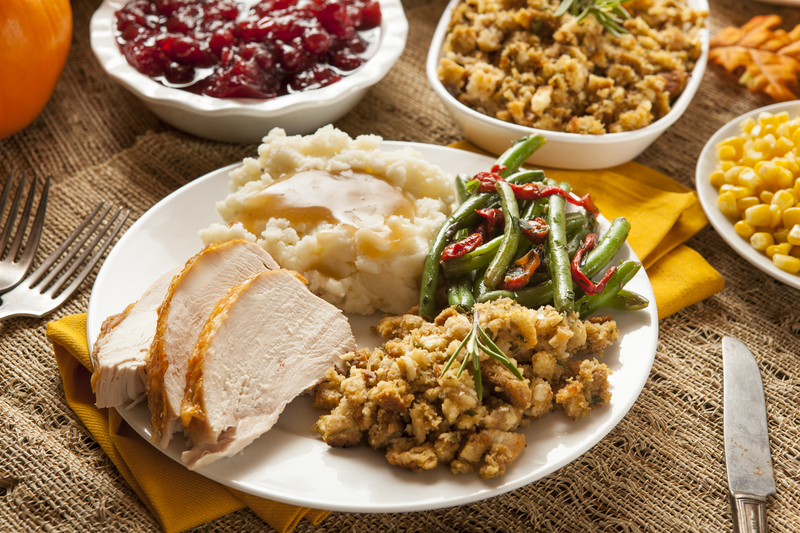 It’s the national day of giving thanks and stuffing….your mouth. Rather than ruminate over calories, just try to adjust the quantity of what you eat and enjoy more leftovers for the weekend. Consider hosting a Thanksgiving leftovers potluck party and invite friends to bring over theirs. Or, freeze leftovers and reuse later in the winter. My husband is actually un-thawing last year’s Thanksgiving mashed potatoes and stuffing as I write this. It’s just us two this year at the table, so we are having a hybrid “Thawsgiving” combined with some fresh-made healthy veggie dishes of my own like barley-stuffed (or quinoa) acorn squash. And homemade apple pie. Chew your food slowly and take smaller bites. Inhaling is for deep breathing and not gorging on food. Use your hand as a measuring cup. A serving should be no larger than your palm. Put the fork and knife down between bites and your hands in your lap. This will slow your eating pattern. GERD Awareness Week, November 18 – 25, is a national observance that focuses on Gastroesophageal reflux disease (GERD) a disorder which impacts 20 percent of the population. I have GERD, and it can really flair up over the holidays if you are not careful. Avoid tight-fighting clothes. Ditch the SPANX and let it all hang out! Avoid exercising after eating, especially weight-lifting, jogging and yoga. Take a walk instead. Do not lie down after eating. OK, no couch surfing after the big meal. Repeat: Take a walk instead. Eat heavy meals earlier in the day. Late night eating is the #1 lifestyle risk for reflux. Sigh! 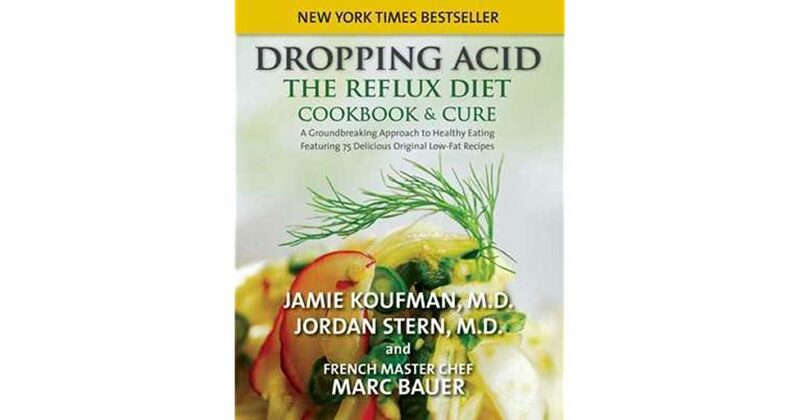 All high-fat foods cause reflux. Just eat smaller portions of those creamy mashed potatoes and stuffing. Balance out with a green salad. (Just no romaine lettuce which the CDC just banned). 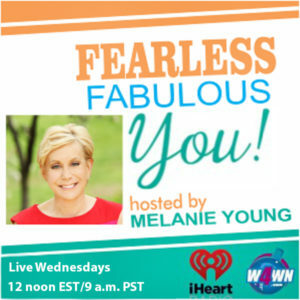 On November 21 on Fearless Fabulous You! I chat about smarter ways to enjoy the holidays without taxing your digestive tract today with double board-certified gastroenterologist. Dr. Samantha Nazareth, who practiced at NY Presbyterian/Columbia University Medical Center. 12 noon EST on W4WN.com Podcast iHeart.